This adventure-packed holiday takes in a range of exciting excursions combined with the opportunity to witness some of the world's most impressive natural wonders. Visiting both Greenland and Iceland, you'll contrast the city sights of Reykjavik and the extraordinary landscapes of its Golden Circle neighbour before flying north to explore Greenland's west coast. 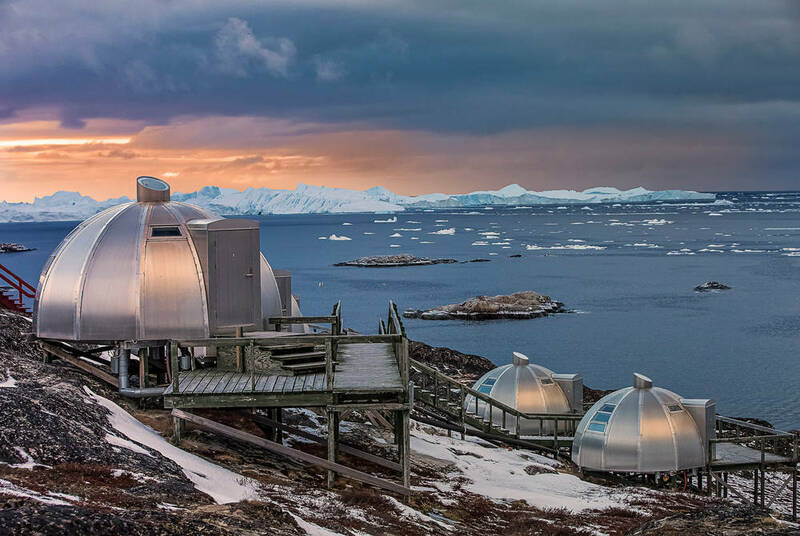 Based in the town of Ilulissat, you'll embark on epic trips to its vast Ice Fjord, get up close to majestic icebergs and visit remote Inuit communities seemingly untouched by time. 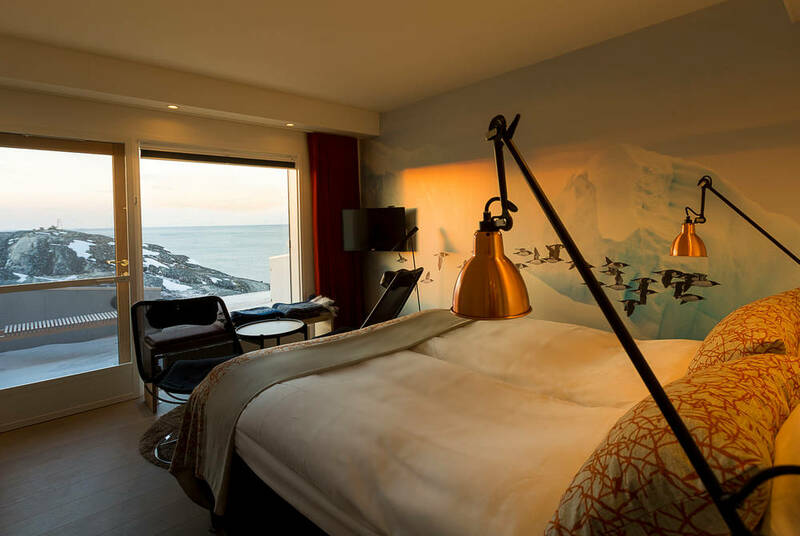 Fly out to Iceland’s capital, Reykjavik, and ransfer to the CenterHotel Plaza; ideally located by the city’s main square, it’s host to bright and stylish bedrooms and a lively lobby bar, while some of the city’s best restaurants are right on the doorstep. For winter visits, we recommend venturing far out from the city and light pollution on a Super Jeep, in search of the Northern Lights. 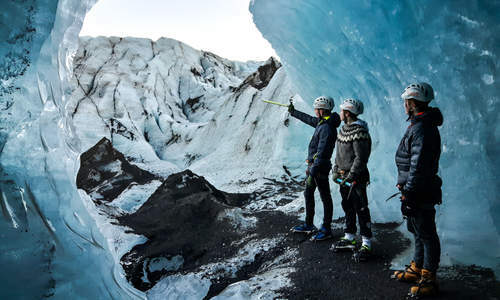 Today sees you witness some of Iceland's most impressive natural phenomena, from dramatic geysers to Iceland's greatest waterfall, as you head out on an included tour of the Golden Circle. Your route also brings you through the vast landscapes of Thingvellir National Park, the site of Iceland's first parliament. This evening, head out to dinner at one of the city's many acclaimed restaurants. Among our favourites are Restaurant Reykjavik, which showcases a selection of Icelandic delicacies, and the excellent Fish Market, whose multi-course tasting menus are a true celebration of the sea. After breakfast, transfer to Reykjavik’s domestic airport for your flight to Ilulissat on Greenland’s west coast. On arrival, you’ll be met by your local guide for an included transfer to Hotel Arctic. Perched on the edge of the Ilulissat Ice Fjord, it commands impressive views of the town and its iceberg-dotted bay. Once you’ve settled in, head out on a short guided tour to familiarise yourself with your surroundings. 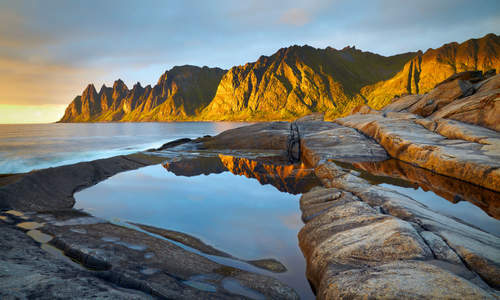 Then, over two memorable days, you’ll explore the region in detail, enjoying a range of optional excursions that bring you right in among Greenland’s mountains and glaciers; there’s everything from helicopter flights and iceberg cruises to scenic hikes and settlement visits, all providing a fascinating glimpse of life in the Arctic. A welcome and farewell dinner is included in your stay. Return to Reykjavik this morning and enjoy a further day exploring the Icelandic capital. Perhaps take a soak in in the geothermal waters of the Blue Lagoon, take a helicopter flight over lava fields and bubbling mud pools, cruise out to the Westman Islands to see vast colonies of puffins or lose yourself in nature with a guided glacier hike or thrilling SuperJeep excursion. This evening, make the most of the city's laid-back bar scene and world-famous nightlife.. The morning is yours to spend as you choose; perhaps venture into Reykjavik for one last jaunt around the city, or head to the harbour in hope of a lucky glimpse of the dolphins and whales. In the afternoon, make your way to the airport for your flight home and continue your onward journey.